Adam Ross lives in Nashville with his wife and two daughters. His debut novel, Mr. Peanut (Knopf), a 2010 New York Times Notable Book, was also named one of the best books of the year by the New Yorker, the Philadelphia Inquirer, the New Republic, and the Economist. Ladies and Gentlemen (Knopf), his short story collection, was included in Kirkus Reviews’ Best Fiction of 2011. His non­fic­tion has been pub­lished in the New York Times Book Review, the Daily Beast, the Wall Street Jour­nal, GQ, and the Nashville Scene. His fic­tion has appeared in the Car­olina Quar­terly and FiveChap­ters. It’s a late summer Sunday night, and I’m at the Station Inn (402 Twelfth Avenue South), Nashville’s legendary bluegrass venue, a nondescript, cinderblock structure that seems an architectural throwback reminiscent of the little house in Virginia Lee Burton’s children’s book of the same name, situated as it is in the Gulch, one the city’s youngest and hippest new neighborhoods. Around it modern residential and mixed-use complexes like the Icon and Velocity (their top floors command a view of the downtown skyline, the Cumberland River, and LP Field just beyond it), along with fabulous restaurants like Watermark (507 Twelfth Avenue South) and Flyte World Dining & Wine (718 Division Street), have sprung up, and the offices of our indispensable alternative weekly newspaper, the Nashville Scene are nearby. All these are within sight of Union Station’s clock tower and frame the city’s train yards, whose cars shake the earth as they rumble by. I’ve been invited out by Los Angeles–based movie producer Michael Costigan, who’s been in town for the past several months shooting South Korean director Park Chan-wook’s first English-language film,Stoker, starring Nashvillian Nicole Kidman and Mia Wasikowska. Over beer and popcorn, Costigan can’t help but admire the Station Inn’s interior, an inimitable brand of wood-paneled, Hatch-Show-Print covered shoddy-chic; it’s a place whose vibe is down-home and smolders with bluegrass history, sort of like a great museum housed in a double-wide. As for the music, it’s mind-blowing, as always. But that’s Nashville—a nexus of talent that’s both Hollywood and rhinestone, urban and country, high lonesome and rock and roll (the Black Keys, the Kings of Leon, and Jack White are all based here)—not only proud of the stars who grew up here (novelist Ann Patchett, actress Reese Witherspoon, Pulitzer prize–winning historian Robert K. Massie, director Harmony Korine, and Mets pitcher R. A. Dickey to name a precious few) but also its transplants (New Zealand–Australian country music singer Keith Urban and his wife, Kidman, along with Grammy Award winners Rodney Crowell, Taylor Swift, and Faith Hill, and her husband Tim McGraw to name even fewer off a gigantic list). It’s a city that’s utterly unassuming and friendly, as culturally vibrant as any in America, one chock full of fabulous museums, universities, and parks, with a literary life as dynamic as its musical one. In fact you could argue these last two constantly cross-pollinate. This is a storyteller’s town, after all, and as one of those transplants—I grew up on Manhattan’s Upper West Side—going on seventeen years living here, I can’t imagine a more stimulating place to dwell as a writer. But don’t just take my word for it. To steal a page from Gill’s handbook, I’ve also invited some guests up on stage to sing its praises. An unfortunate side effect of the extraordinary attention Parnassus’s opening received was that it crowded out talk of our city’s truly great options when it comes to used books. Any book lover knows there’s no serendipity quite like used-book shopping, so be sure to wander into Hillsboro Village’s BookManBookWoman (1713 Twenty-First Avenue South). The store is owned by husband and wife team Larry and Saralee Woods. Larry started the place as a way to slough off some of his colossal collection, and it’s impossible not to find treasures up and down its narrow aisles. The store also dedicates a portion of its space to newly published works and occasionally hosts author events. Note: If you’re duly inspired by your purchases and feel like grabbing a cup of coffee and starting your own novel, trot across the street to Fido (1812 Twenty-First Avenue South), where the food’s fabulous and laptop loungers abound; or, if your visual cortex needs stimulating, check out Zeitgeist (516 Hagan Street #100) to get a quick taste of the city’s local art scene. If Tennessee or Southern history is your thing, Elder’s Bookstore (101 White Bridge Road) has everything from eighteenth- and nineteenth-century maps to first-edition Civil War testimonials and original manuscripts, not to mention a terrific collection of modern Southern literature. A primary-source paradise, it’s also one of Nashville’s oldest establishments, opened by Charles Elder in 1930, and now run by his son Randy. Finally, for sheer selection, organization, and quality, nothing beats McKay’s Used Books, CDs, Movies, and More (636 Old Hickory Boulevard), which just moved to its new location and is a true browser’s paradise. 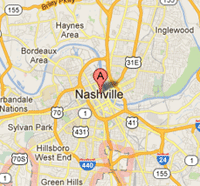 In terms of sheer scale, it’s the closest thing to New York City’s Strand Nashville has. A great place to run into local luminaries is Nashville’s Southern Festival of Books. When it comes to great literary events, few festivals in the country are as grand. Founded in 1989, the three-day event packs in countless author readings and panels, all of which are held at War Memorial Plaza and the State Capitol (for real pressure, try giving a reading in the Senate chamber, where the audience can vote yea or nay). Last year, after having the pleasure of appearing with Jim Shepard, I got to see Tom Perrotta, Chad Harbach, Justin Torres, Tom Piazza, Erin Morgenstern, Bobbie Ann Mason, Patchett, Edith Pearlman, Charles Frazier, Smartt Bell, and Kevin Wilson. Nashville’s informal atmosphere holds sway: Readers have plenty of access to authors throughout the festival, which runs October 12 to October 14 this year, a glorious time to be in the Music City. And if you can manage to stick around till the end of the month, another must-attend event is the Nashville Public Library Literary Award, a three-day fete of distinguished authors. Past honorees have included John Irving, John McPhee, Patchett, and John Updike, with gala proceeds benefitting the library. You’ll notice the library keeps coming up, and that’s because Nashville’s main branch (615 Church Street) is the system’s crown jewel. Built in 2001, it’s a neoclassical beauty that’s not only a fabulous place to take children for story time or to do serious research but is also the hub of Music City’s literary culture. Its auditorium is the site of Salon@615, Nashville’s new author reading series, held in partnership with Humanities Tennessee, the Nashville Public Library Foundation, and Parnassus. The series was founded to fill the void created by Davis-Kidd’s closing and immediately became a mainstay. This summer Salon@615 has welcomed authors Andrea Wulf, Jeff Shara, Richard Ford, and Chris Cleave. We’re known as the Athens of the South because of our high concentration of universities and, not surprisingly, Vanderbilt—the Harvard of the Southeastern Conference—hosts two terrific events that run throughout the year: the Chancellor’s Lecture Series and the Gertrude and Harold Vanderbilt Visiting Writer Series. (This year I caught Lorrie Moore and Wells Tower respectively). Guest information is usually available by early August. Finally, if mysteries are your thing, be sure to visit in sweltering August (this year it’s held August 23 to August 26) to attend Killer Nashville: A Conference for the Thriller, Suspense, Mystery Writers and Literature Lovers. Started in 2006, it boasts over sixty events that include everything from forensics seminars to craft workshops to guest-of-honor lectures (Peter Straub, C. J. Box, and Heywood Gould are 2012’s marquee names) and also brings agents from all over the country to meet with aspiring genre writers. When I moved to Nashville from New York City, I never could’ve anticipated the impact it would have on my life as an athlete. I never played country-club sports growing up but am now an avid golf and tennis player. (I even ran the Music City Marathon in 2001.) In fact, years before I had the pleasure of working on my books with Fisketjon, he helped me shave strokes off my handicap at countless local courses. The fact is that Nashvillians are a sporty tribe; we play as avidly as we root for our local college and pro teams. Whether you’re into horseback riding, running, hiking, golf, or cycling, you can do all of these at Edwin and Percy Warner Parks (2500 Old Hickory Boulevard), which consist of over 2,600 acres of green space that include countless horse and hiking trails, a steeplechase, multiple roads for running, and two golf courses. I learned to play the game at Harpeth Hills Golf Course, which is run by our municipal system (green fees are twenty-eight dollars on weekdays). It’s a track that’s hilly, supremely challenging, and rampant with wildlife (deer, hawks, and some of the biggest turkeys you’ve ever seen). I did my marathon training on the park’s punishing hills; my wife and I love to hike the Mossy Ridge Trail; and if I want a peaceful break from a morning of writing, I walk its canopy-covered roads at midday, where I’m sure to see more owls than people. Walk around the lovely grounds of Scarritt-Bennett Center (1008 Nineteenth Avenue South) if you’re seeking peace and inspiration—there’s always a shady spot to be found among its gothic buildings fashioned of Crab Orchard stone—and visit the Poet’s Corner, a reading series featuring a local poet that’s held the fourth Thursday of every month. Speaking of poets, one of city’s great institutions is dedicated to the Bard, and no summer in Nashville is complete without an evening picnic at Centennial Park’s Bandshell (2600 West End Avenue) followed by Nashville Shakespeare Festival’s annual performance. (This year’s play, Much Ado About Nothing, runs mid-August through mid-September.) The Nashville Shakespeare Festival has grown since its founding in 1988 from a nonprofit organization dedicated to educating mid-South residents through performances of Shakespeare’s works to a full-blown cultural outreach program. (Monthly readings of a play are done at the downtown library and the organization also runs workshops for students from elementary to college levels.) If you miss these, you’re in luck; since 2008, Nashville Shakespeare Festival has partnered with Belmont University to perform plays in its Troutt Theater (2100 Belmont Boulevard), the company’s winter home, in the heart of the Belmont-Hillsboro historical neighborhood. As charming and restorative as the outdoors is, one of literary Nashville’s greatest venues is a virtual one. Any literature lover craving in-depth interviews with writers as well as first-rate criticism should pay regular visits to Tennessee Humanities’ Chapter 16. The online publication provides high-quality, free content to newspapers in Memphis, Knoxville, and Nashville so that they may continue covering books and authors in these economically challenging times. Peruse its archives for interviews with the likes of Margaret Atwood, Joyce Carol Oates, Junot Díaz, Yann Martel, Dorothy Allison, Amy Greene, Barbara Kingsolver, Donald Ray Pollock, Walter Mosley, Jeannette Walls, William Gay, David Sedaris, Noam Chomsky, Sebastian Junger, Hampton Sides, Eric Schlosser, Roy Blount Jr., Doris Kearns Goodwin, Billy Collins, Kay Ryan, Robert Pinsky, Claudia Emerson, and Robert Hass. That’s just for starters. In many ways, the stellar quality of the site’s content speaks to Nashville as a great literary city. I’d be remiss if I didn’t direct you to a few final favorites of mine, places to which I always take first-time guests because, to me, they speak to Nashville’s heart and soul, to the quiet vibe that the remarkable writers above have described so well—a calmness that I crave while visiting our country’s major cities and that envelops me whenever I return home. For this Manhattan-bred boy, Nashville remains a great secret, cool as all get-out but never self-consciously hip or competitive. We’re quick to enjoy ourselves but never to honk our horns; we love to sneak out at lunch for a game of golf or tennis; we say hello to each other when we’re out for a walk or run; the acts playing in our airports are tomorrow’s superstars, so we stop on our way to baggage claim and give a listen. The honky-tonk of honky-tonks is downtown’s Robert’s Western World (416 Broadway), and there’s no better way to end a night than with a few PBRs and some pulled-pork barbeque while you listen to the band and watch couples two-step under the dance floor’s pink neon lights. (Plenty of youngsters two-step, sure, but it’s the oldsters in their matching outfits, with their intimate knowledge of each other’s moves, who are a feel-good sight for bleary eyes.) Walk off your buzz down at Riverfront Park afterward or, if you’re feeling spry, hoof it to the apex of the Shelby Street Bridge. You can see our gorgeous Schermerhorn Symphony Center as well as the Country Music Hall of Fame on your way, Nissan Stadium across the river (Go Titans! ), and our gorgeous new Cumberland Park on the west side below. Hot Chicken is Nashville’s signature soul food, a true Music City original, and Prince’s Hot Chicken Shack (123 Ewing Drive) is the source of the spiciest, most delectable deep-fried poultry you’ve ever had. (Unless you’ve done serious palette training in India or Thailand, get the mild heat, and don’t rub your eyes with your fingers afterward.) Try a breast, leg, or thigh sandwiched between slices of white bread—to absorb the orange grease—topped with a speared pickle, just so you get your vegetable. Warning: Bring your book or e-reader: This ain’t fast food at any hour. Opened in 1925 as a silent movie house, the Belcourt Theater (2102 Belcourt Avenue) has long been the city’s premier multiuse entertainment facility. (It was home to the Grand Old Opry from 1934–1936.) You can catch bands from Lambchop to Shelby Lynne there, and you can take your kids to Olde Worlde Theatre’s fantastic Saturday morning performances. You can see first-run films that won’t come to your local Cineplex (I recently took my five- and six-year-olds to the ballet documentary First Position), nostalgia-packed Midnight Movie showings (The Goonies and Jurassic Park), and film series like the upcoming Castles in the Sky Studio Ghibli animation extravaganza. Nashville can feel like a small town but the Belcourt always confirms we’re big city when it comes to cultural choices. Plus, there’s nothing like sipping an ice-cold draft of local Yazoo Pale while catching a flick. The legendary Ryman Auditorium (116 Fifth Avenue North) is a converted church—the pews are still intact—that’s a cathedral to all music and is one of the most intimate places to hear live acts anywhere in the nation. The coolest thing about the place is how excited the bands are to be there with you. If you’re out and about in East Nashville and happen to run into writer Tony Earley, introduce yourself and ask for suggestions about places to eat or drink over there. (I’m preferential to Margot Café & Bar myself but am also a fan of Holland House Bar & Refuge; I’ve heard nothing but raves about the Pharmacy Burger Garden and Beer Salon.) And if you’re lucky enough to see the brilliant novelist Kevin Wilson at a reading, ask him to tell you stories about studying under novelist and short story writer Walter Sullivan at Vanderbilt; he’ll appreciate the chance to reminisce about his college days here. If you meet Ann Patchett at Parnassus, be sure to ask her for book recommendations because, well, that’s her job. And if you’re fortunate enough to meet Randall, get her talking about country music. Along with her novels, she also penned Trisha Yearwood’s number one hit song “XXXs and OOOs” and knows a thing or two about rhinestones. So y’all come and visit us, and be sure, when you do, to say hi. You won’t get stiff-armed with attitude, I can promise that. What a wonderful article. I do like Nashville and being only 60 miles away, I end up there sometimes. These many things about the city, especially the literary side, I did not know. Thank you so much for this information and the beautiful way that it is written. Well done. I will continue reading, writing, and gathering nuances for my poetry and ideas for my next novels. Again, thank you. A year or so ago I saw a documentary on the Nashville scene, then I read your article - I'd like to get in touch with someone, as I'd like to come over.